Steve advises companies and business owners on a wide range of business law issues. 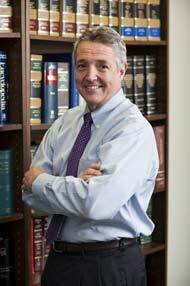 He practices primarily in the areas of corporate transactional and securities law. He regularly represents clients in public and private securities offerings, mergers and acquisitions, and other corporate finance transactions. His experience covers a broad range of industries, including commercial real estate, manufacturing and consumer service companies. Steve has represented companies in all stages of development. Prior to establishing the firm in 1988, Steve served as General Counsel for Franklin Realty Group, a Philadelphia-based real estate investment company. Before Franklin, Steve served as a senior staff attorney at the Securities and Exchange Commission in Washington, D.C., and as an associate with the Philadelphia law firm of Fox Rothschild.